Although a 1989 vessel, recent improvements have her looking like new: - Interior and exterior professionally refurbished - Stringers and deck completely refurbished and painted - All new hoses, wiring, pumps, bilge, washdown, etc. - All new cushions and upholstery inside and out - 100% teak and mahogany bulkhead. 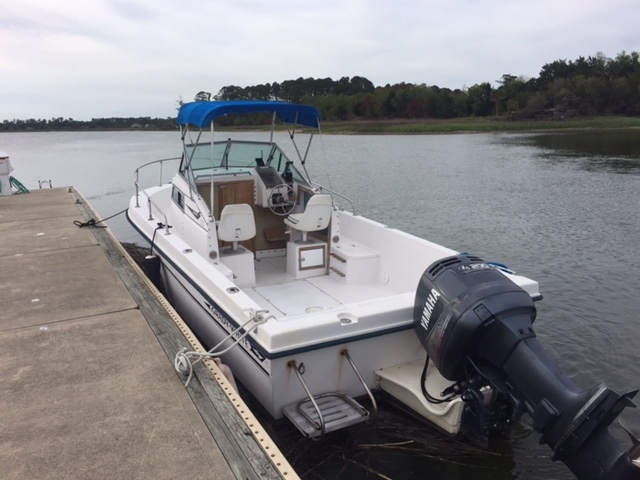 - Wireless remote bow spotlight - New bimini top and Grady White striping - New Captain's chairs - Bottom paint was done 3/22/2015 Stock #088763 Suzuki 225 with less than 200 hours If you are in the market for a walkaround, look no further than this 1989 Grady-White 204 Overnighter, just reduced to $18,000 (offers encouraged). This boat is located in Savannah, Georgia and is in great condition. She is also equipped with a Suzuki engine that has only 185 hours. The boat is in good condition with low hours on the new engine. The trailer is roadworthy and ready to go. The boat is stored outdoors at a marina storage lot and was filled with debris when pictures were taken. Should clean up nicely and new pictures will be posted when she is washed. 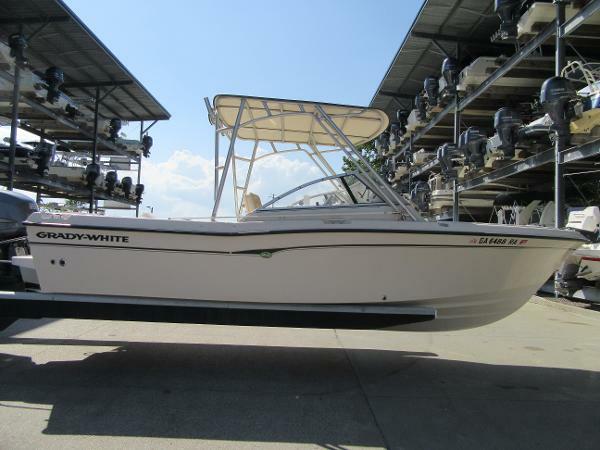 Stock #115146 Great family boat with low hours ready for a new home!!!!!! 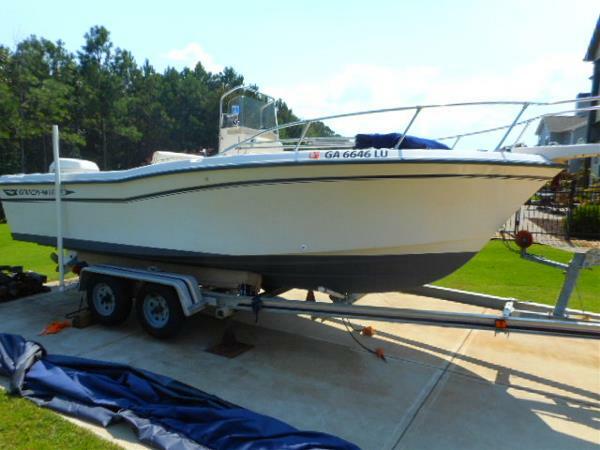 If you are in the market for a runabout, look no further than this 1991 Grady-White 190 Tournament, just reduced to $18,900 (offers encouraged). 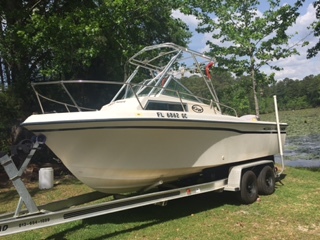 This boat is located in Pooler, Georgia and is in good condition. She is also equipped with a Evinrude engine that has only 100 hours. Reason for selling is not using. 1990 Grady-White 204 C Overnighter Grady White 204-C overnighter. Deep-V hull that handles rough seas better than some boats twice it's size. 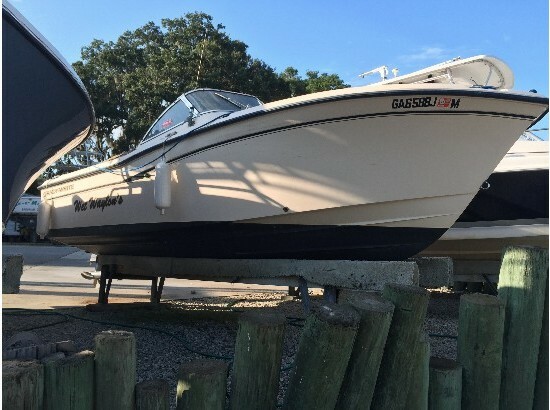 This boat has only had one owner and has been serviced regularly since it was purchased. Engine is in excellent condition. Compression on all cylinders is good and with in 10psi of each other. Fuel system and spark plugs recently changed and serviced. Engine performs as good as it did when it was new. Lower unit has always been serviced and boat comes with a spare propeller. Power plant is 200hp precision auto blended fuel/oil two stroke Yamaha engine. The hull still retains it's cream colored gel coat shine and is in excellent condition.. Please contact Jennifer at 229-328-7154 for inquiries. 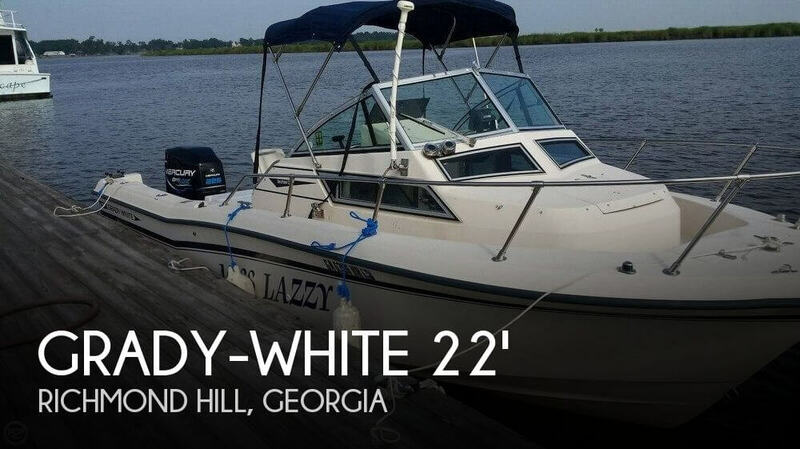 1998 Grady-White 228 SEAFARER, This is a very nice and well maintained 1998 Grady-White 22 Walkaround powered by a 2013 Yamaha 250 Four stroke outboard with only 186 Freshwater only hours. 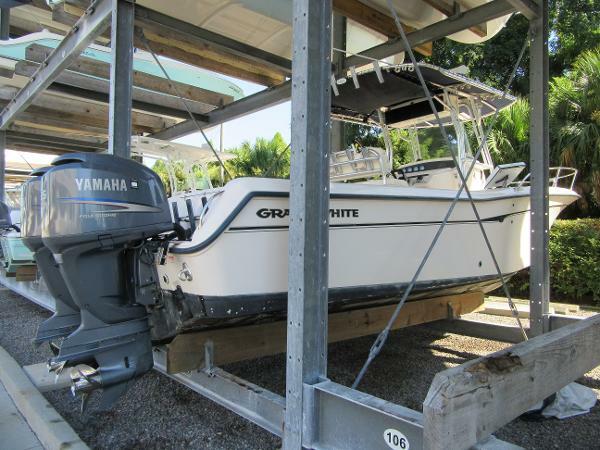 Boat comes with a hardtop with 4 Rocket launchers, Full enclosure, Yamaha digital Gauges, outboard mounted trolling motors, Large rear baitwell, VHF Radio, Helm stereo remote, CD/stereo, compass, electronics box, remote spotlight, cabin sink with pressurized water system, extended swim platform and more. THERE IS NO TRAILER WITH THIS BOAT. 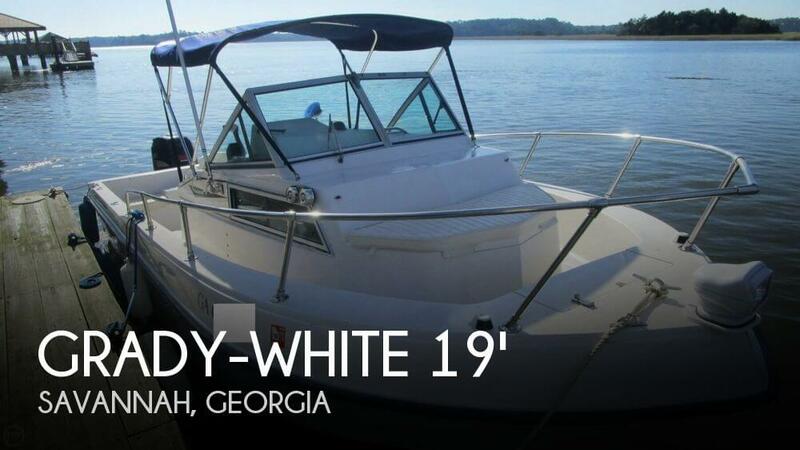 For more information on this 1998 Grady-White or almost 100 pre-owned boats in stock call or email American Boat Brokers today! 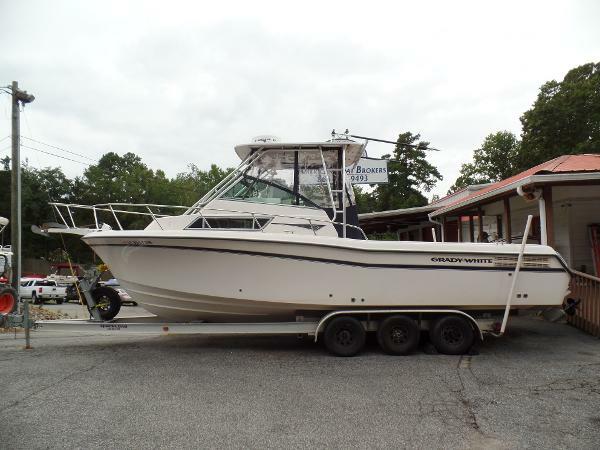 2005 Grady-White 28 2005 GRADY WHITE 28FT CENTER CONSOLE WITH LOAD ON TRAILER AND TWIN YAMAHA 225S NEW GARMIN 7612 XSV WITH SIDE SCAN THROUGH HULL TRANSDUCER FURUNO NAV NET WITH OPEN ARRAY RADAR JL AUDIO SPEAKERS VHF THE WORKS! 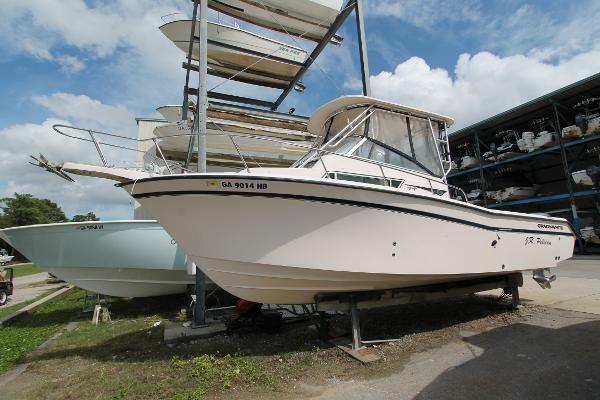 BOAT HAS WINDLASS, FRESH COMPLETE SERVICE WITH WATERPUMPS AND ALL WITHIN LAST 50 HOURS BOATS HAS NICE WALK IN CONSOLE AND LIVEWELL LEANING POST NOTHING WRONG WHATSOEVER BOAT IN GREAT SHAPE AND NO EXPENSE SPARED ON MAINTENANCE CALL KYLE ANYTIME 912 269 7129 $99000 BRING ALL OFFERS!!!! 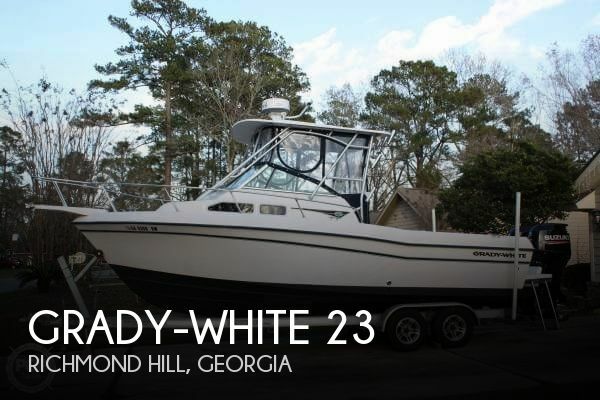 2000 Grady-White 274 Sailfish This is a very nice and roomy 2000 Grady-White 274 Sailfish Powered by a Volvo Penta KAD 44 EDC Kompressor diesel Motor with Duo Prop outdrive That has primarily been used in Freshwater. 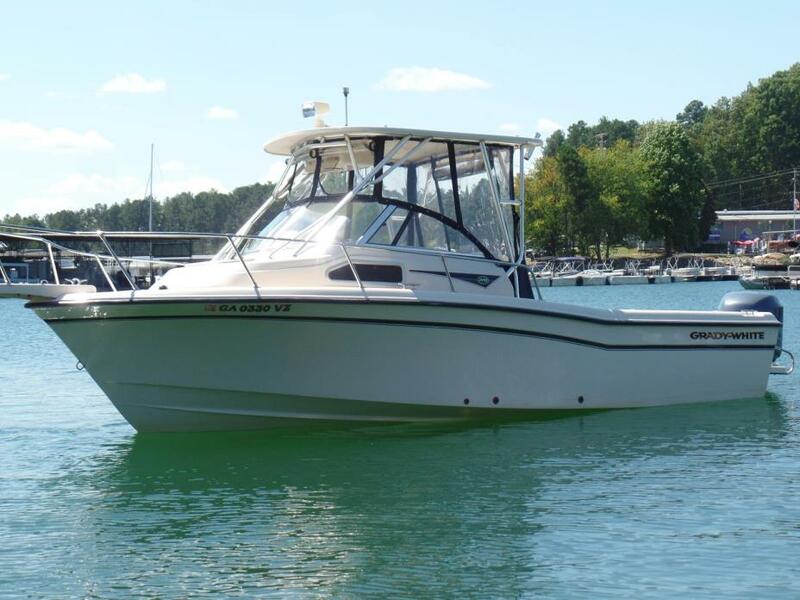 This boat comes with a Hard top with full enclosure, 5 Rocket launchers, 2 outriggers, Furuno Nav/Net Radar, Furuno GPS/Chartplotter, Spreader Lights, Pressurized water system, raw water washdown, stereo, Baitwell, enclosed head, Full Galley with refrigerator, Microwave and sink, Bow sun pads, VHF radio and swim ladder. It includes a tandem axle Aluminum Trailer. $39,995.00 or finance for $379.00 per month W.A.C. 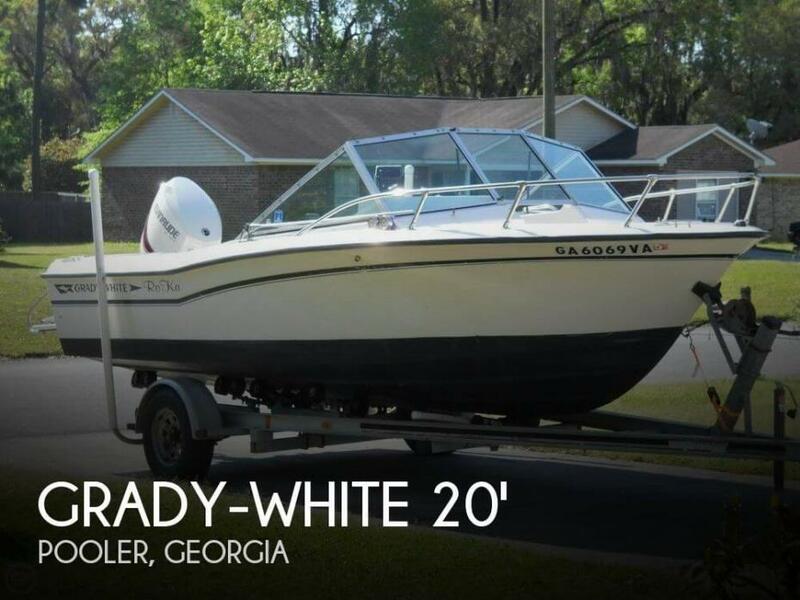 For more information on this 2000 Grady-White or almost 100 pre-owned boats in stock call or email American Boat Brokers today! 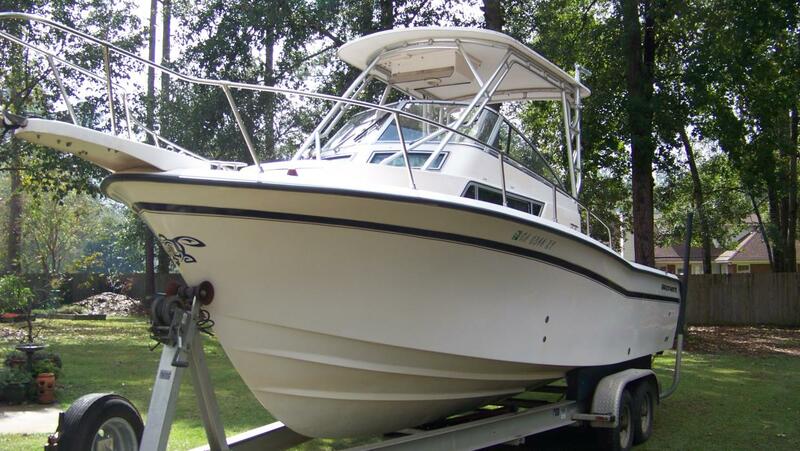 2006 Grady-White 225 Tournament 2006 GRADY WHITE 225 TOURNAMENT WITH YAMAHA 250 FOURSTROKE ONLY 34 HOURS!!!!!!!!!!!!!!!!!!!!!!!!!!!!!!!!!!!!!!!!!!!! BOAT HAS HARDLY EVEN BEEN USED, HAS FULL EXPRESSS TOP, WINDLASS,GARMIN 3210, ICOM M302, KENWOOD RADIO, BOAT ONLY NEEDS TO BE CLEANED UP BOAT IS IN EXCELLANT SHAPE AND MUST GO BEING AS IT IS NEVER USED! DONT MISS THIS ONE!!!!!! CALL KYLE ANYTIME 9122697129 $37999 BRING ALL OFFERS!!!! !